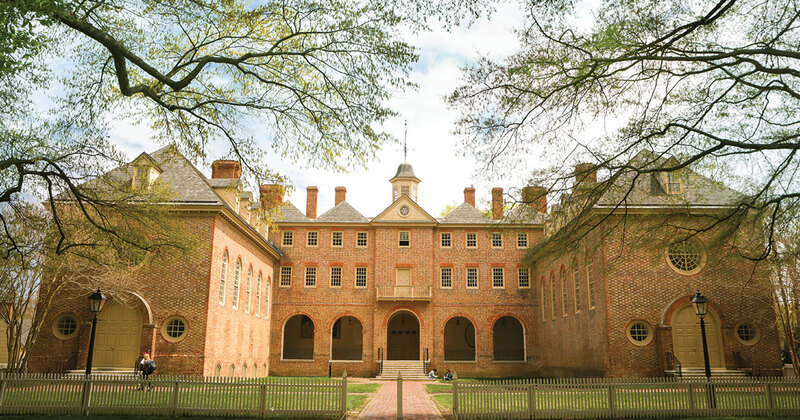 Several years ago, the Changs included a bequest to William & Mary in their will. After Ming passed away last year, Charlotte decided to move forward with the commitment now to establish the Donald C. Chang Scholarship Endowment, named in honor of their second son, Donald, who passed away as an infant. Now Charlotte looks forward to meeting the first Donald C. Chang Scholarship recipient and hopes their family’s story will inspire others to support our nation’s future dreamers too. Charlotte came to the United States in 1945 with her parents and sisters. Her father was a diplomat in the Chinese Embassy in Washington, D.C. Ming’s father was in the U.S. Navy stationed at the Pentagon. 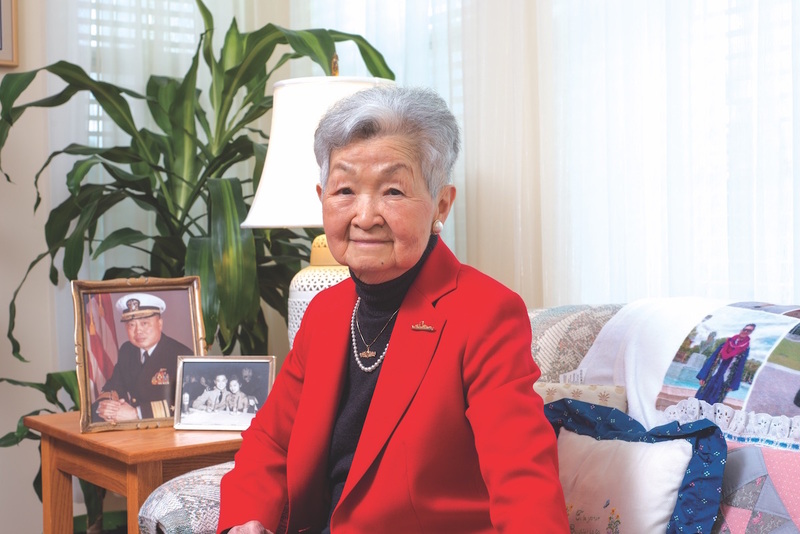 At the end of World War II, he arranged for Ming and his mother, who were in China, to join him in the U.S. and they settled in Fairfax, Virginia. Ming’s father served in the U.S. Navy for 25 years. The two first met in 1953, when Charlotte’s parents hosted a party for Chinese college students. Ming’s parents suggested he go to meet the diplomat’s daughters so he attended without an invitation. From that first meeting, Charlotte knew Ming was destined for a life of distinction. When he came to William & Mary in the early 1950s, he was one of the only Asian-American students on campus. He studied physics and math and worked three jobs—at the bookstore, cafeteria and Kings Arms Tavern in Colonial Williamsburg’s Historic Area. Ming became a member of the honor council, the university choir, Lambda Chi Alpha, Baptist Student Union, and the William & Mary Order of the White Jacket, which honors students who work in food service. He graduated in three years with a B.S. in physics and followed in his father’s footsteps, with a commission in the U.S. Navy. In 1962, Ming earned a B.S. in electrical engineering from the Naval Postgraduate School and went on to build an impressive naval career with increasingly important assignments in the Navy's cruiser and destroyer commands. In 1980, he attained the rank of Rear Admiral and was the first naturalized Asian-American naval officer to reach flag rank in the U.S. Navy. He finished his distinguished career as the Naval Inspector General of the Department of the Navy. “We had a great life together,” said Charlotte. “We lived up and down both coasts in some of the country’s most beautiful places.” Ming retired from the Navy in 1990 after 34 years of service and became the vice president and corporate director for the Pacific region at Raytheon International and then president of MEC International, LLC. Ming also served on the William & Mary Foundation Board from 1994 to 2000. Both of the Chang’s children followed the family’s tradition and pursued a Naval career. Their daughter, Donalda, served 11 years as an officer in the Navy. Their son, Daniel, graduated from the U.S. Naval Academy in 1979 and retired as a commander after 22 years. Just as Navy service is in the Chang’s blood, so, it seems, is William & Mary. Charlotte and Ming’s grandson, Jacob, graduated from the university in 2009 with a degree in business. Jacob also served four years in the U.S. Navy as an officer. Now, the Changs hope the Donald C. Chang Scholarship Endowment will enable others to make the same lifelong connections their family has enjoyed. During the For the Bold campaign, more than 18,200 people have contributed to scholarships, impacting more than 700 students. The university is seeking an additional $100 million to meet its $350 million scholarships goal. “Our whole family has been so fortunate. Others giving back meant that we could achieve our dream and it is important to help the next generation do the same, ” said Charlotte.